Integrity in research publication has become a major issue of debate over the past years. 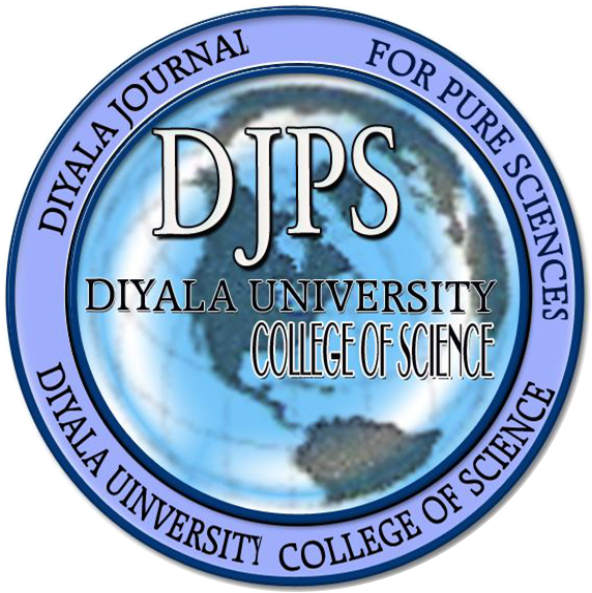 The editors of Diyala Journal for Pure Science are seriously concerned about the plagiarism or other forms of fraud and misconduct in academic publishing. We consider it an essential part of our ethical responsibilities as editors to be aware of and to meet these challenges and to develop strategies for coping with them. Likewise, our journal is committed to ethical standards in its own editorial policy. The editorial board members of the journal do their best to ensure fair, unbiased, and transparent peer review processes and editorial decisions. Any detected cases of misconduct, whether on the part of authors, reviewers or editors, will be vigorously pursued. It is essential that all who participate in producing the journal, who conduct themselves as authors, reviewers and editors, strictly adhere to the highest level of professional ethical standards. By submitting a manuscript to this journal, each author explicitly confirms that the manuscript meets the highest ethical standards from the author and co-authors including proper statistical investigations and thorough ethical reviews by the data owning organizations. To support and promote integrity in research publication, the editorial board fully endorses the position statements for editors and authors that were published under a Creative Commons license. Source: COPE (Committee on Publication Ethics), http://publicationethics.org/resources/international-standards-for-editors-and-authors . Every author on ALL submissions must sign a Statement of Authorship. Unethical practices may be identified and brought to the attention of the editor or publisher at any time. Unethical practices may include, but are not limited to, violations of any of the Ethical Expectations outlined above (e.g., plagiarism, falsification or fabrication, authorship falsification, redundant publication, undeclared COI, etc.). The person reporting the ethical breach must provide sufficient evidence in order for an investigation to be undertaken. All allegations are treated equally and taken seriously until a conclusion has been reached. Initial decisions will be made by the editor in consultation with the dean of College of Science, University of Diyala. To avoid defamation, evidence gathering will be conducted in such a way as to limit the spread of allegations beyond those who need to know. Allegations will be raised in a timely manner. Cases that fall outside of the means of the editor to investigate (e.g., data fabrication or theft) should be referred to the author’s institution with a request for investigation. Minor misconduct may be dealt without wider consultation. The author should be given an opportunity to respond to any allegations. In cases of serious misconduct, the employer of the accused may need to be notified. The editor, in consultation with the publisher, editorial board, and/or society governing body, as appropriate, will make a decision on whether this is warranted. Once an ethical breach has been confirmed, one or several of the following will be applied in response. Consequences are listed from least to most severe and will match the severity of the misconduct. Editors, authors, and peer reviewers should disclose interests that might appear to affect their ability to present or review work objectively. These might include relevant financial interests (for example, patent ownership, stock ownership, consultancies, or speaker's fees), or personal, political, or religious interests. Strict policies preventing people with conflicts of interest from publishing might encourage authors to conceal relevant interests, and might therefore be counterproductive. Journal editors, board members, and staff who are involved with decisions about publication should declare their interests. Editors clearly explain what should be disclosed, including the period that these statements should cover. Editors ask authors to describe relevant funding, including the purpose of the funding (for example, travel grant and speaker's fees), and to describe relevant patents, stocks, and shares that they own. When editors, members of editorial boards, and other editorial staff are presented with papers where their own interests may be perceived to impair their ability to make an unbiased editorial decision, they are excluded from discussions, deputize decisions, or suggest that authors seek publication in a different journal.